From 20-22 October the MOSAIC 2B consortium will present the latest results and findings at the ICT 2015 event in Lisbon, Portugal. During the ICT 2015 the MOSAIC 2B will provide information about the developed components of the framework as well as first conclusions and impressions from the six-month field experiment that has been conducted in rural areas of South Africa from March to August 2015. Visitors will have to opportunity to get details about the DTN based content distribution as well as the operating principles of this technology and its implementation. The project will also demonstrate the cinema-in-a-backpack solution including the mobile business services for the micro-entrepreneurs such as: ordering, paying, screening of multimedia content and performing business analysis using visual analytic tools. Moreover, visitors will be able to interact with the tablet software and experiment its functionalities. With over 5 000 participants, ICT 2015 will gather high level speakers, networking sessions for the creation of European consortia, an exhibition dedicated to successful European ICT projects and several activities for the general public. For three days Lisbon will be the European hub of ICT, bringing together politicians, national and European decision-makers, researchers and entrepreneurs, to debate the latest policies and initiatives of the European Commission on ICT. The MOSAIC 2B project has received funding from the European Union’s Seventh Programme for reserarch, technological development and demonstration under grant agreement no. 611796, as well as from the Department of Science and Technology South Africa under financial assistance agreement DST/CON 0227-0229/2013. 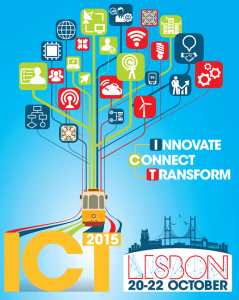 Visit MOSAIC 2B at the ICT 2015, International Cooperation Village, exhibition booth IV7a. 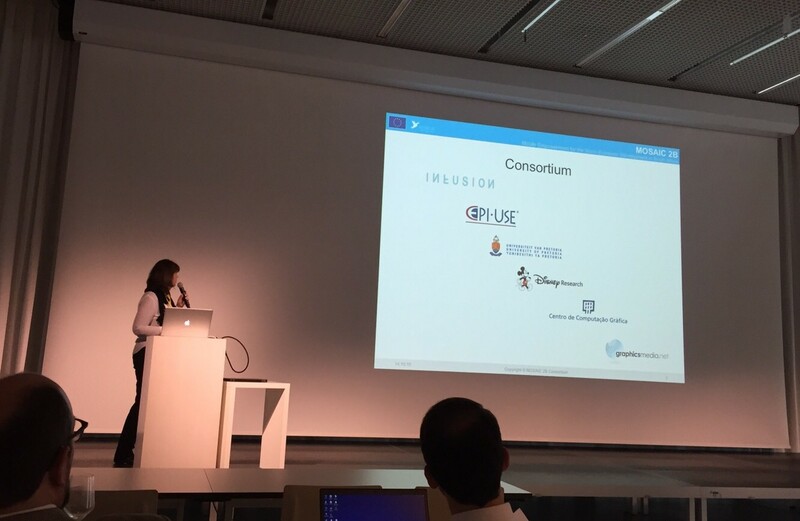 From 14-15 October 2015 professor Alta van der Merwe and Aurona Gerber presented an overview of the MOSAIC 2B project at the Third International Conference on Enterprise Systems (ES 2015) in Basel, Switzerland. In the parallel session “Project Presentations” on Wednesday 14 October 2015 the partners from the University of Pretoria (South Africa) presented an overview of the MOSAIC 2B project as well as what has been accomplished in the last 24 months since the start of the project. The MOSAIC 2B project – funded by the European Union and the Department of Science and Technology South Africa – will end by November 2015. After a field trial of six months with 14 micro-entrepreneurs the consortium is currently investigating the latest results and implications that will be presented at the final dissemination event in November in Pretoria. The Enterprise Systems conference series is jointly supported by the IEEE Technical Committees Enterprise Architecture and Engineering and Enterprise Information Systems. Dr. Eider Sánchez, researcher in Vicomtech-IK4, was awarded for the best article in the 3rd International Conference on Innovation in Medicine and Healthcare hold in Kyoto from 11th to 12th September. The paper "Integrating Electronic Health Records in Clinical Decision Support Systems" by doctors Eider Sánchez and Carlos Toro (Vicomtech-IK4) together with Prof. Manuel Graña (Computational Intelligence Group, UPV) is focused on the secondary use of medical history systems and suggests the reuse of the implicit knowledge embedded in it in order to improve the knowledge on the mechanisms of a disease and/or the effectiveness of the treatments. The registered data in the medical history, reflects implicitly different clinical decisions made by the clinical professionals and their context (e.g. criteria followed during decision making, patient parameters taken into account, effect of the prescribed treatments). In this research work the authors propose a methodology that allows the management of electronic medical history not only as data containers, but also as clinical knowledge repositories. They present an architecture for the extraction of the knowledge from medical history and a methodology to feed support systems with this knowledge for clinical decisions, in a way that could render benefits for the decision making of medical professionals, health managers and medical researchers. The third edition of this International Conference taken place in Kyoto, gathered researchers and engineers, managers, students and practitioners from the medical arena, to discuss the ways that innovation and knowledge exchange can be applied to issues relating to medicine, surgery, healthcare and ageing population. Vicomtech technology centre is grateful to see that its work, experience and technological know-how has been awarded by the ITEA Excellence Award 2015 together with the rest of the partners of Mediate Project. ITEA is a European organisation that supports innovative projects focused on Software intensive systems and services, key for innovation in European competitive industries such as the automotive, health or aerospace sectors. Vicomtech-IK4, together with the consortium has received the award in the “Business impact” category for its project Mediate focused on health-care. ITEA is the program of the Eureka Cluster composed of strategic initiatives under the industry for technologies (key technologies for European competitive improvement) development leadership.